Harbor Village is a vivacious retirement paradise known for its beachy locale and active senior scene. But ever since murder moved in, the idyllic coastal community is becoming a little less lively . . .
With the first annual antique car show cruising into the tranquil bayside oasis of Fairhope, Alabama, there are bumpy roads ahead for Harbor Village director Cleo Mack. As an automobile-themed lecture series gets off to a rough start, she finds herself balancing one too many responsibilities—and dodging advances from a shady event sponsor. It’s enough to make Cleo feel twice her age. 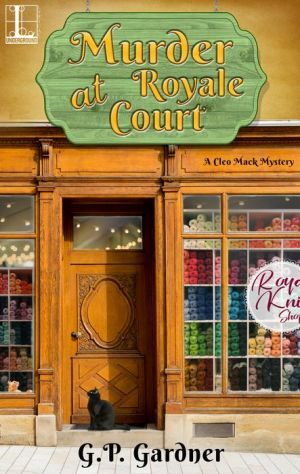 But the festivities reach a real dead end when she discovers a body at the Royale Court shopping center . . . When an innocent man lands in the hot seat for murder, Harbor Village residents look to Cleo to crack the case. Aided by an eclectic group of energetic seniors, Cleo races to identify the true culprit from a growing list of harmless Sunday drivers—before a killer revs up for another hit and run!